As election season nears and the Denver Broncos prepare for the regular season, residents in Southwest Colorado will be subjected to another year of television from the Land of Enchantment. As election season nears and the Denver Broncos prepare for the regular season, residents in Southwest Colorado will be subjected to another year of television from the Land of Enchantment, featuring Albuquerque crime, New Mexico political campaigns and perhaps a Dallas Cowboys game instead of the home team in orange and blue. Such is life as an “orphan county,” a term used to describe counties that receive television programing from a neighboring state. Montezuma and La Plata counties are in Colorado but receive broadcasting from New Mexico. La Plata County commissioners hoped to change its “orphan” status by filing a petition to the Federal Communications Commission in October 2016 that would allow satellite providers – including DirecTV and DISH Network – to partner with local television companies in Denver to broadcast in La Plata County. The FCC approved the petition in March 2017. 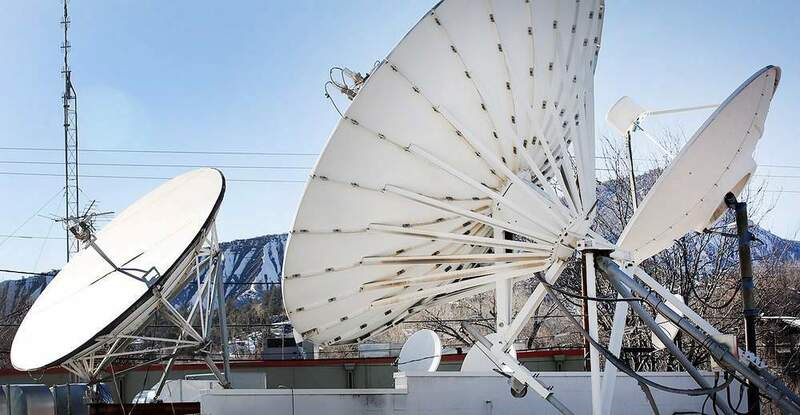 But several Albuquerque television stations petitioned in opposition of the decision in an effort to block Denver stations from reaching La Plata County. They said four statutory requirements disqualify La Plata County from a market change, including that the county has not historically carried Denver stations, Denver lacks geographic proximity, Denver stations lack “any meaningful audience” in the county, and the county receives “ample technical coverage and local programming” from Albuquerque stations. Michelle Donaldson, vice president and general manager of KOB-TV, one of the Albuquerque stations that filed the joint-response to the FCC’s decision, doesn’t believe the Denver stations have an argument to broadcast to La Plata County. Donaldson believes the Albuquerque station’s history of coverage in the area has benefited residents in Montezuma and La Plata counties. The station employs a full-time reporter that lives in Farmington to provide adequate local news coverage to the southwest corner of Colorado, she said. The station has also spent a lot of money ensuring it has the technology to broadcast to the two counties. “I think it would be a shame to throw away years of commitment and service so that you might see a couple of extra Broncos games,” she said. KOB-TV, an NBC affiliate, does not carry Denver Broncos games. The station broadcasts NBC’s Sunday Night Football game. There’s not a whole lot La Plata County can do. Spina reached out to the FCC three weeks ago and was told there was no update about the pending petition and there was no timetable for when the FCC would make a decision, she said. The FCC did not return a phone call from The Durango Herald. Though the petition was approved by the FCC and still stands, the decision does not apply to the contractual obligations of the Denver broadcasters, said Justin Sasso, president of the Colorado Broadcaster’s Association. The Denver stations’ contracts stipulate that they must use Nielsen-designated markets, which the FCC uses to determine its markets. Denver broadcasters would therefore be violating terms of their network and syndication agreements by providing programming to counties outside their allocated Nielsen designations, such as La Plata and Montezuma counties, Sasso said. Scott Huscher, a spokesman for AT&T, which owns DirectTV, said the satellite provider is waiting for a resolution. “The FCC, La Plata County and local stations involved are continuing to discuss this potential change,” Huscher said in an email to the Herald. DISH did not return phone calls requesting comment. At the La Plata County Fair earlier this month, county spokeswoman Megan Graham said several residents frustrated about the situation approached her to talk about it. A majority of the residents brought up two major issues – residents do not want to watch New Mexico political advertisements and they don’t want to miss Denver Broncos games. Southwest Colorado residents and politicians have been fighting for the right to view Colorado television in Montezuma and La Plata counties for about two decades. The issue typically heats up during election cycles, when Colorado residents are bombarded by New Mexico political advertisements, Spina said. Meanwhile, local residents miss commercials from Colorado politicians, who they vote for in elections. Some residents in Montezuma and La Plata counties may never know which candidates are running from Colorado because they do not see the television ads, and that makes it difficult for candidates to engage with potential voters, Spina said. “It’s terribly unfortunate that our citizens in La Plata County don’t get that political advertising that would help them be informed about what’s going on in our own state,” Spina said. Donaldson, with KOB-TV in Albuquerque, said she isn’t aware of any communication between the Albuquerque stations and the FCC, and had no estimated timeline for when a decision would be made.